Spider veins and varicose veins are often mistakenly grouped together as one and the same. However, did you know the two are actually separate vascular conditions? They may produce very similar symptoms, but here you’ll discover the differences between these two conditions. How do the symptoms differ? The symptoms of spider veins and varicose are very similar in some ways, yet different in others. In terms of appearance, spider veins tend to be much smaller than varicose veins. They’re typically purple, blue or red veins which present in clusters, similar to that of a spider web (hence the name). They never bulge out of the skin so if you notice the veins are large and bulging, it’s more likely you have varicose veins. Most of the time, spider veins don’t present any pain or discomfort. However, it is possible they can cause itchiness, stinging or burning of the skin. There’s also a chance they can lead to other skin conditions. Varicose veins, on the other hand, tend to cause more aching, throbbing and swelling. 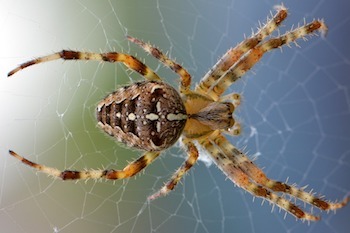 The cause of spider and varicose veins can be very different. Spider veins tend to occur due to a backup of blood. However, they can also be triggered by sun exposure, injury and hormone changes. Varicose veins are usually caused by faulty or weak valves within the veins. Sometimes spider veins are also associated with these faulty or weak valves. Whilst varicose veins can go on to cause major health concerns, spider veins are usually only a cosmetic problem. Whether you’re suffering from varicose veins or spider veins, there are treatment options available. Sclerotherapy is a popular treatment option for both conditions, proving especially effective at combatting spider veins. It’s a simple injection style technique which is minimally invasive and extremely effective. It’s crucial to undergo a consultation and ultrasound assessment before an appropriate treatment can be identified. Establishing the severity and type of vein issue you’re experiencing will help to determine which treatment would be better suited. Contact us today to book a consultation with one of our vein specialists. Can men develop varicose veins? Is it possible to detect varicose veins early?